The Clydach Refinery, affectionately known as the Mond, was built in Clydach, near Swansea at the turn of the 20th century and started production in 1902. The plant was built by Ludwig Mond, the inventor of the nickel carbonyl process. During the 100 years since it began production the Clydach refinery has become the largest and most versatile nickel refinery in Europe. The refinery currently employs over 220 people. The original 30-acre site has now grown to 55-acres. The site produces about 40,000 tonnes of nickel products per annum. The products are made in pellet form for use in stainless steel appliances, nickel plating and special alloys for anti-corrosive applications. Another major processing line produces nickel in powdered form. These products are utilised in a diverse range of processes including the production of rechargeable batteries and catalytic converters. Envirotreat were commissioned by Jones Brothers (Henllan) Limited in late 2012 to investigate several waste streams located on site to evaluate the most cost effective treatment option. Recovered contaminated sediments from the historic canal bed (generated from canal improvement works). Waste soils generated from the installation of a new water main. Bobby Filter Waste – this waste stream comprised of filter media similar in nature to the material treated previously by Envirotreat in 2011. General waste soils / materials generated from site works. 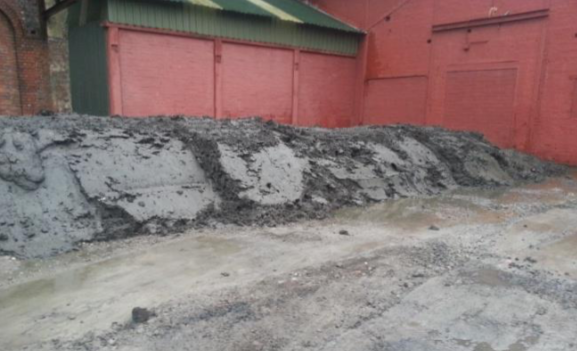 The contaminated materials were treated ex-situ utilising the designated E-Clay Stabilisation formulation. The prime drivers for the remediation works were the protection of human health and controlled waters. The treated materials achieved both the environmental and engineering requirements to enable reuse onsite.